When my friend Camryn Rhys first told me her publisher was looking for submissions set in foreign countries and with local flavor, I wanted to jump for joy. I was sure I’d finally found my niche. I love to travel, have been fortunate enough to see many intriguing places, and now I had somewhere to share all that information. 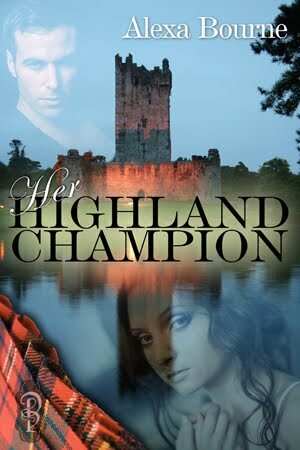 My first book, Her Highland Champion, is a romantic suspense story about an American heroine who loses her memory while in the Scottish Highlands and the Scottish hero who finds her. Setting Champion in Scotland was an easy choice. Great Britain holds a huge piece of my soul. My fascination with the UK stems from my family. My mother grew up in northern England. At 16, she came to the United States with my grandparents, leaving behind everything she knew and loved, including a lot of family. Over the years, I've had several chances to visit my relatives starting with a 6-week trip with my grandmother when I was 10. Exploring the culture of a country that spoke my language and yet didn’t was an amazing and eye-opening experience that summer. While my grandparents were alive, I treasured the British stories and customs they shared with me. I’ve also been lucky enough to travel back to England with my mother to some of the places she frequented as a child. To say I cherish that connection to my heritage will forever be an understatement. Now, granted Her Highland Champion is set in Scotland instead of England and I don't have Scottish relatives, BUT I've visited Scotland enough, with and without my mother, that it also grabbed me. My second book, Fractured Paradise, is set in my mom’s hometown of Sunderland, and next year I hope to write a story set in Ireland. To put it simply, I’ve chosen to use Britain as the setting of my first few books so I can share what I love about the UK with readers. For me, it’s a way to give back to the people and places that have settled into my heart. A Decadent Honor Guard story…. Heather Winchester leads a charming life. 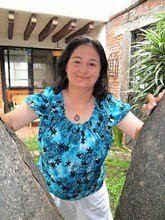 With good friends, a beautiful flat in one of the most amazing cities in the world, and a promising future once she finishes her Ph.D, she is finally pursuing her own dreams instead of catering to everyone else’s…except she doesn’t remember any of it. Malcolm Fraser has returned to his Highland village to forget his failings as a professional bodyguard. Believing he could just lose himself in the mundane activities of running his bed & breakfast, he finds a woman’s lifeless body by the loch instead…. Captivated by Heather as she regains her memory, Malcolm is thrown into the line of duty. As danger comes knocking on their door, will he be strong enough to love her and keep her safe? Thanks, Kit/Ingeborg! I hope you like it. Jessica, I've always made my setting like a separate character. Thanks for stopping by! Sounds fascinating. 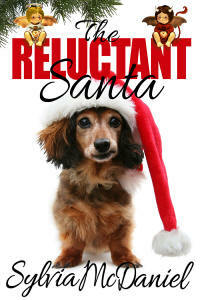 On the TBR list! My Highland Champioin sounds like a great book. I have yet to travel overseas to either place so I love reading about them. Krista, if you ever get the chance to go you will NOT be disappointed! Until then, I promise to bring you snippets of the culture and details of the setting with every Honor Guard book I write! I love to travel. I like to travel personally and through my books. Yes, traveling is addictive, for sure! Thanks for stopping by, Debby! Lovely to read about your background, Alexa. - Even though I've always live in Scotland, I enjoy stories set here! Oh, Rosemary, I'm so jealous! I would move to the UK IN A HEARTBEAT! Thanks for visiting here!